A man and a woman were talking at a party. The woman said: "Lawyers are jerks." The man responded: "I take offense at that remark." "Why" said the woman. "Are you a lawyer?" "No," he said, "I'm a jerk."  You've been hurt, what do you do now? 1. Decide if you even need a lawyer. Because I focus on personal injury law, my comments will be tailored to accident cases. Whether you need a lawyer, and whether you have a case are two different, and sometimes, completely separate issues. In order to address those issues, you need to answer two questions: (1) are you hurt; and (2) do you believe your injuries are because someone else was at fault? At this point, don't worry overmuch about the second question. First, figure out are you hurt badly, or do you even suspect that you're hurt badly (this is not the time to be John Wayne; some injuries only become apparent days and weeks, and even months down the road), if so, call a lawyer. A good personal injury lawyer will meet with you without charge. After talking to the lawyer, the lawyer will be able to answer question number 2, and will also be able to tell you if you have a case. The reason question number 2 should be left to the lawyer is because identifying fault and pinning it on the right party is a tricky business, and can be done in a thousand different ways...ways that you have not even begun to think about. If the answer to both question one and two are yes, then you will know that you have a case because it will suddenly become important to have you sign a fee agreement...right now! On the other hand, if you're not hurt badly, and you are reasonably certain that you're hurt because someone was at fault, such as a rear ender, being run over in a cross walk, being mauled by your neighbor's Yorkie, then it would probably be in your best interest to try to settle your claim yourself. A good rule of thumb is that if you didn't get medical care for your injuries, or only treated once or twice, then you probably don't need a lawyer. Settle your claim yourself and treat yourself to a nice meal (funny thing about insurance companies, they'll settle in the $500.00 to$1,000.00 range all day, but get anywhere north of there, and you'll have a fight on your hands.) On the other hand, if your health care treatment went on for more than a couple of visits, if you needed surgery, or if you think the effects of your injury will be permanent, you need, at least, to talk to a personal injury lawyer. 2. Okay, I'm hurt, it was the other persons fault, now the insurance company is calling, what do I do? In a car wreck case, there are two insurance companies that you need to deal with; the insurance company of the person who was at fault and caused the accident, and your own automobile insurance company. In cases such as dog bite cases, slip and fall injuries, you will be dealing only with the at fault insurance company. In the case of automobile wrecks, sometimes, both the at fault person and you will be insured by the same company. Don't worry...you can still make a claim. Just make sure you understand which branch of the insurance company, the 1st party, your branch of the insurance company, or the 3rd party, the at fault branch of the insurance company you are dealing with. In the event that it is the at fault insurance carrier calling, first determine if you need a lawyer (see above). If you decide that your claim is one that you can resolve on your own, do not agree to give a statement until you have a chance to think about the accident, and your injuries. Take your time, gather the evidence you need to prove that the at fault person was, in fact, at fault, accident report, pictures, etc., also gather your health care bills and records. Only when you are ready contact the at fault insurance company and make a claim. Don't let the insurance company rush you. The insurance company may even send you letters to the effect that if you don't file a claim, they are going to close their file. Don't worry about this, so long as you are within the statute of limitations (the time within which you can file a legal claim, also, see below) you can always pursue a claim, or file a lawsuit. If you have any questions about the applicable SOL, call a lawyer! If you are seriously injured, and you anticipate hiring a lawyer, do not give a statement, either formal, or informal, telephonic or in person, to the at fault insurance company, do not sign a medical release document. Anything you give to the at fault insurance company will be twisted and used against you. 4. Okay, you need a lawyer, what now? First, do not call the lawyer before you arrive at the emergency room. 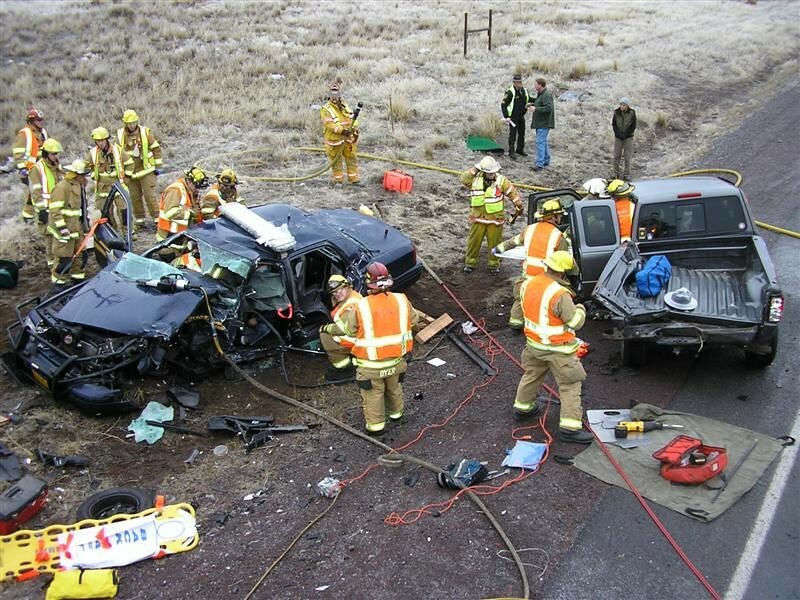 You'd be surprised at the number of people who call from the scene of an accident. My advice is always, look after your health first, then, when things settle down, call me. How long should you wait after an accident to call a lawyer? Each state establishes rules that determine the outer limits of when a case must be filed; generally speaking, these are called statutes of limitations, or SOL. SOLs vary from state to state, and also based upon the nature of the wrong done to you. For example, if you are injured in Virginia or West Virginia as a result of a run of the mill car wreck, you have, essentially, two years from the date of the accident to file a legal action...not just make a claim, but actually file a lawsuit with the courts. In Maryland, you have three years from the date of the accident to file a lawsuit. Sometimes, if someone has intended to hurt you (there may be no insurance coverage for this type of evil) you only have a year to file suit. In some cases, where the injury is hidden, or the cause unknown to you, you may be able to claim that you have two years from when you reasonably became aware of the injury. If a child is injured in an accident, the SOL generally begins to run once the child has reached the age of 18. The point is, wait to see a lawyer until your damages become reasonably clear to you. This can be as little as a day, or as much as eight to nine months. The reason I suggest at least a day to as long as nine months is because if you have a fairly good idea that your injuries are serious and will impact your life, such as the Yorkie ripped off your lower right leg, then I suggest going to see a lawyer quickly, as a lawyer will be able, in some instances, to get medical payment, or PIP (personal injury protection) to help you with bills, and the lawyer can help you with resolving your claim for property damage (you're car, etc. damaged in the accident), (these, should be done free of charge, but that's just me.) On the other hand, if your injuries are complex or take a long time to show themselves, like some head trauma, it is best to wait a bit before you see a lawyer. 5. I'm hurt, it's the other person's fault, and I need a lawyer, but which one? There are many different types of lawyers. Some lawyers represent banks. Some lawyers represent corporations. Some lawyers do divorce work. Some lawyers do estate planning, or elder law. All of these types of lawyers are perfectly fine, but it would be a huge mistake to take your personal injury case to one of them. For a personal injury case, you need a lawyer who specializes in just that type of law. How do you figure out who specializes in personal injury/accident law? Look at their advertising material in the phone book, in the newspaper, or on the web...if they advertise that they handle bankruptcy, divorce, criminal law, and (oh yeah) personal injury, they do not really do personal injury work. Also, keep in mind that with personal injury/accident cases, location matters. The lawyer you select should be from the general area where the accident occurred. Don't be fooled if they have an ad in your local phone book, figure out where they're really from. A local lawyer will know the area, the investigating officers, the court system, and will be comfortable dealing with all of them. Some lawyers are too busy to speak to you in person, and you may meet with an assistant or paralegal first, who will take your information. If you run into this, ask yourself if your case isn't important enough to warrant the attorney's time now, will it ever be important to the attorney? If you meet with an attorney, and they ask you to pay an hourly fee for the first meeting, or ask you to pay money to cover "expenses", I'd give that lawyer a pass as well. If your case is good, a lawyer will cover the costs of filing fees, accident reports, expert witnesses, postage, etc., and will recover the expenses when the case is resolved. Another thing that I have noticed lately is some lawyers will claim that they don't take a fee unless you recover money, but they don't mention costs. I've decided that if I can't pick good cases by now, or have enough confidence in the case that I know I will recover my costs at the successful conclusion of the case, then maybe I shouldn't be doing this type of work. So, with me, if you recover money, only then do I charge you either a fee, or costs. If you recover nothing, then I recover nothing. Personal injury lawyers work on a contingency fee basis; that is if you win money, the lawyer's fees will be a percentage of the amount you win. The standard contingency fee seems to be 33.3% of the total amount recovered. I know of attorney's who charge 40%, 45% and higher if they must take a case to trial, or appeal an adverse verdict. Myself, I think those fees are a little salty. If I can resolve your case without filing suit, I will charge you 28% plus costs. If I file suit, my fee is 33.3%, plus costs, and that includes going to trial. Finally, after you make an appointment with a lawyer, and meet with the lawyer, ask yourself if you like them as a person, if you do, and the terms of their fee letter, or agreement (they must have a written fee letter, or agreement) seem fair to you, then go ahead and sign. If you don't like the lawyer as a person, chances are good that the jury won't either. Also, remember, this is probably going to be an extended process, and you may as well go through it with someone you like and respect. If you can't get around because of lack of transportation, or injury, I'll come to you. Tell me about your case? I'VE HAD AN ACCIDENT, THE INSURANCE COMPANY IS CALLING, WHAT DO I DO? I'M HURTING, WHAT DO I DO NOW? THINGS TO DO BEFORE YOU CALL THE LAWYER. THERE'S A LOT OF LAWYERS OUT THERE, WHAT SHOULD I LOOK FOR BEFORE I HIRE ONE?